A stranger was caught inside a family's University City condo. 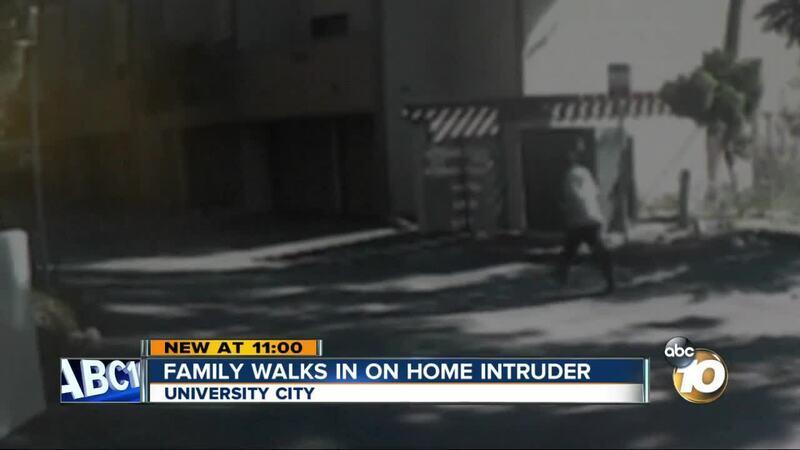 SAN DIEGO (KGTV) - A family came face to face with an intruder in their University City home Thursday afternoon. Family members said an unknown man entered their condo in the 6200 block of Agee Street around 1:15 p.m.
Dylan Dunn, who lives in the condo with his parents, said he came home from school and saw a stranger in the living room. His mother was asleep in the bedroom and his father was in the downstairs garage at the time. The stranger, seemingly caught in the act, just calmly walked out, according to Dunn. The family called the police, and Dunn said they spotted the man along Genesee Avenue. Police said they detained someone connected to the case. The Dunns said they usually keep their door locked, but this time they didn't. “We're definitely going to have to keep the door locked more often,” Dunn said.